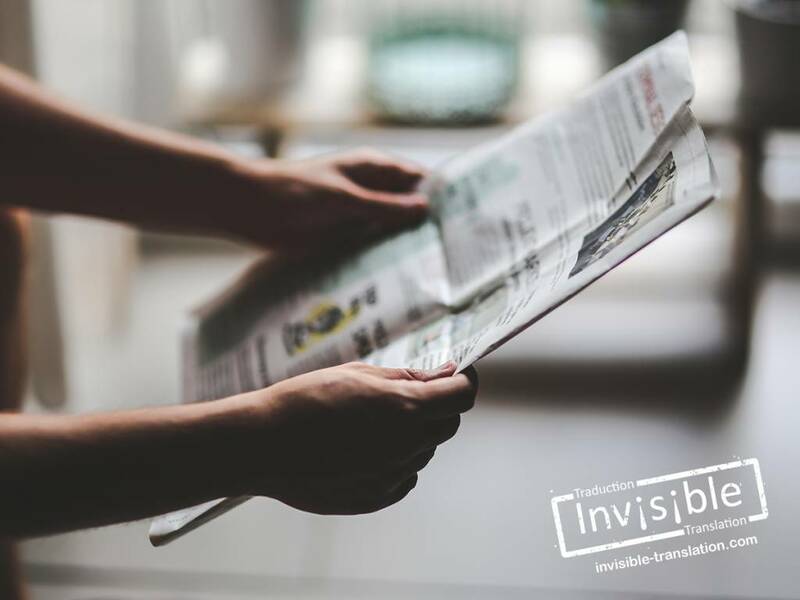 The news release, an essential tool for disseminating information | INVISIBLE Translation Inc. The news release holds a special place among the various types of business correspondence. Given that it is the most effective way to draw the attention of the media or members of an organization to a new development, it is no wonder that this tool is used so often. This article presents a profile of the news release and its various forms. Do you need a translation of a news release? Call us right now. Do you want a news release edited before publishing it? Tell us about your needs. Whether the goal is to notify the public of a new development of general interest or to create a genuine shock wave, a news release must be very carefully crafted. A release that targets the media. While both must meet the same requirements and generally follow a similar structure, they differ in their goal. Taking a position on various topics. Therefore, both the drafting and translation of a release are best left to language professionals capable of producing concise, original, impeccable texts. Writing an effective release is no mean feat, and translation of a release is no different. A release must be informative but brief, engaging and noteworthy. Brief texts pose a special challenge: they must combine conciseness, ingenuity and creativity. This requires finding the right words to make the translation clear and intelligible rather than cumbersome and awkward. In French as well as English, this translation exercise is governed by clearly defined structural formalities. Have a catchy lead, an opening line that grabs the reader’s attention in one short paragraph. This paragraph of about 50 words captures the reader’s attention and essentially summarizes the text that follows by covering at least four of the five Ws. This crucial structural element is a decisive factor in whether journalists take interest in a news item. While writing or translating just 50 words may seem an easy task, nothing could be further from the truth. For a release to be effective, its lead must absolutely grab the reader’s interest and be worded creatively and flawlessly. Ultimately, you have only a few seconds to entice the reader! A release must be written and translated so it can be published exactly as is. The quality of the work done beforehand determines whether a news item is published and ends up hitting or missing its target. The paragraphs following the lead therefore should be clear, very readable and jargon-free. Each must contain only a single idea. Keep in mind that your text must complete and simplify the work of journalists and the media community. They often have only a few hours to prepare a newspaper for publication and finalize the articles it will contain. Wouldn’t it be better to leave the drafting and translation of your release to professionals? The writing and translation of a release should leave nothing to chance. Treating this document with the greatest care is a necessity, not an option. Our team of professional translators knows just how to imbue a release with the impact, flow and intelligibility required, in English as well as French. This is what we do for a living! Let us help expand your company’s reach. Contact us now to discuss your requirements. We will be pleased to clearly define your needs, so we can provide you with service that exceeds your expectations. Have you ever had a news release translated by a translation agency? What was your experience?